Joe Gonzalez is President of Adroit TEKnologies. He lives in Irving, TX and has been in the GYIS Program for 7 months. Before GYIS, I was extremely out of shape, did not sleep much, I did not exercise and most importantly had very bad eating habits. I decided to join GYIS because of a personal crisis that I was going through and my health and appearance was a contributing factor. I decided I needed to make a lifestyle change for myself before I could move on with my new life and so I reached out to Brad for help. My first experience with GYIS was very surprising in the variety of exercises and techniques that are used by the trainers. We did not do the same exercises twice in the first month that I was there. This kept me very interested in the workouts and kept me wanting to attend the sessions. Another surprise was how quickly my body adjusted to the various exercises and running. After just a few weeks, I was able to run and do running man crunches and sit ups. The trainers are very good and provide guidance at every session. 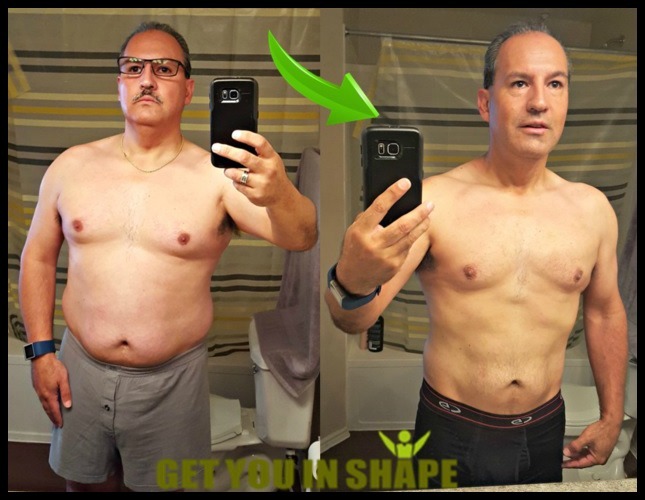 The most important tools that GYIS provided me that was instrumental in my weight loss was the nutrition plan that Brad provided and I followed. By following the plan, I averaged 3 pounds lost per week. In addition, the supplements helped me with my energy and stamina when working out. Also, logging all my food intake on MyFitnessPal in conjunction with my FitBit was very helpful in tracking and monitoring my progress each week. The thing I have enjoyed about GYIS the most is the trainers and staff. They all are very knowledgeable and work together for a true common goal for everyone and have helped me make a lifestyle change that I was looking for. Because of the trainers and success of the GYIS Program that I have experienced, I look forward to working out regularly. In fact, when I travel, I now run in the mornings because I miss working out. I even ran a 5K when traveling with some friends on a guy’s weekend in California. Before GYIS, I would have preferred to sleep late instead of waking up early and exercising. Because of GYIS, I have lost over 45 pounds in less than 5 months but most importantly, I am lean and strong at 14% body fat. I have gone from a 41 waist to a 32 waist and 44 Regular to a 39 Slim Suit Jacket. I have not been in this good of shape since I was 22 years old. GYIS has impacted my life in different ways. Not just my health and appearance but in my business. When I walk into a Board Meeting, people have a totally different reaction to me and what I am saying just because of the way I look and carry myself with confidence. Right or wrong, an overweight person in a nice suit will be looked at differently than a fit person in the same suit. Thanks to GYIS, I am that fit person in the nice suit. Since joining GYIS 7 months ago, I have lost 50 pounds and countless inches and went from 38% body fat to 14%. I have since put on 5 pounds of muscle and am focusing on strengthening my body. Because of GYIS, I can eat and drink what I want, when I want to, because I am now in the maintenance phase of the program and continue to make as many workout sessions that I can to continue my progress. GYIS has become a way of life for me. I truly thank all the Trainers and Staff but most importantly Brad for such a great program.